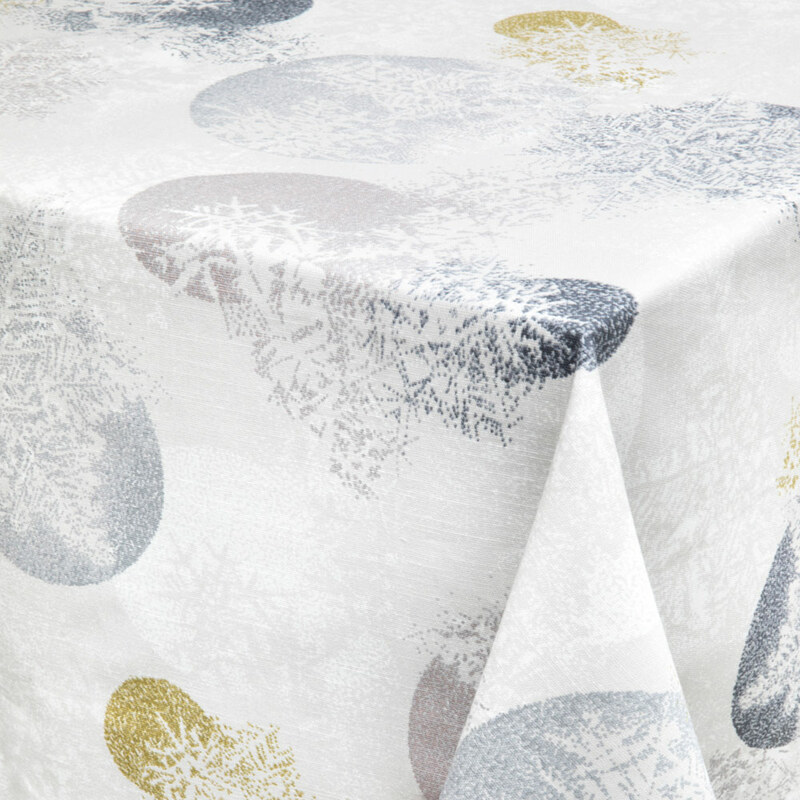 More about Pentik Hiutale (Flake) Tablecloth Cool, icy tones add to the wintry feel of the Pentik Hiutale (Flake) Tablecloth. 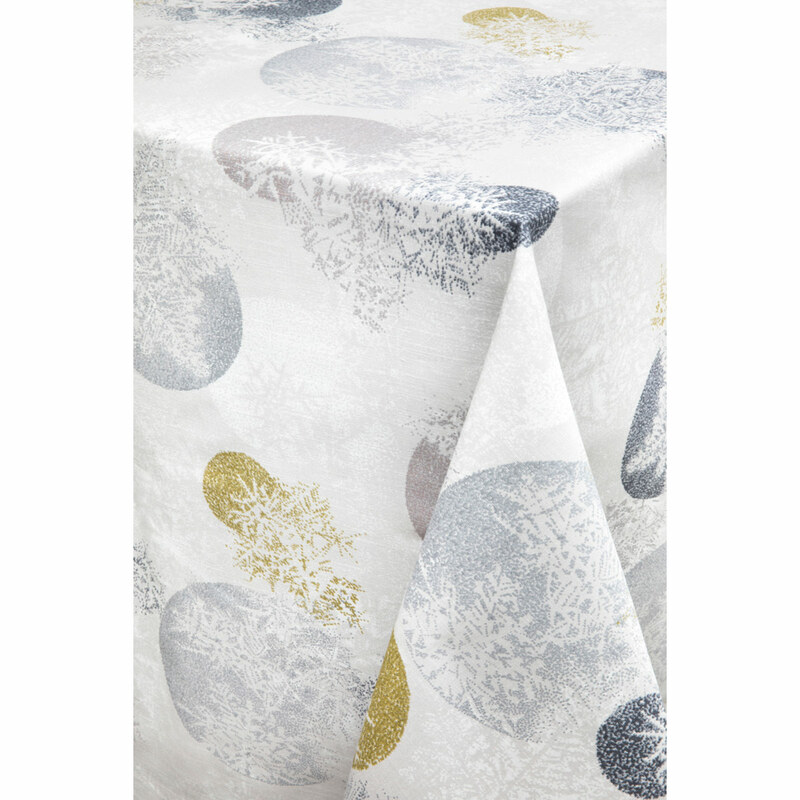 Designed by Minna Niskakangas, it features snowflakes in silver and golden hues. 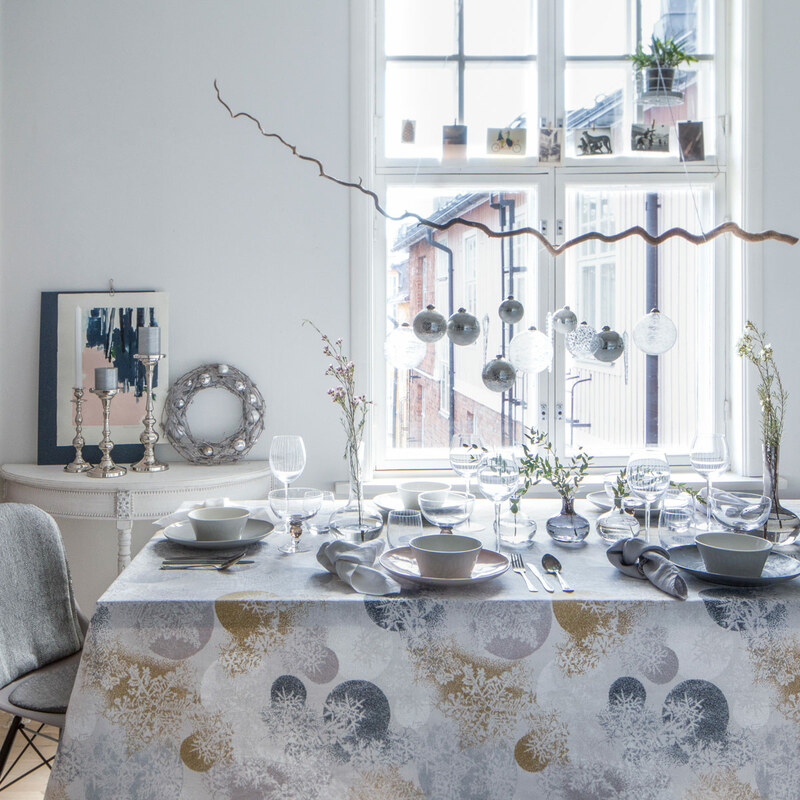 The 100% cotton tablecloth has a metallic shimmer to it, bringing a lush sophistication to the holiday place setting this season. I love this winter tablecloth. It has stayed on the table through the holidays into the winter days of the New Year. 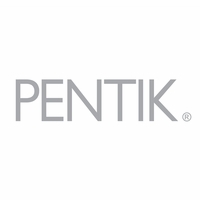 This is a beautiful, neutral design, less cartoonish than some other Scandanavian design. I machine washed and dried the tablecloth when it arrived and then ironed it for good measure. It looks amazing. This also fits a long rectangular table perfectly. Beautiful table cloth. Can be used casually or formally. Beautiful gold and silver accents. The table cloth is more gray in tone than white.